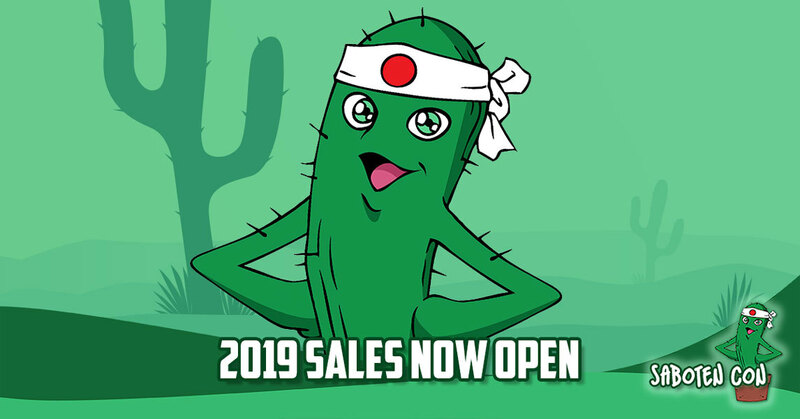 Saboten Con - 2019 Sales Now Open! Oct 1st 2018 04:31 PM|2019 Sales Now Open! We are happy to announce our 2019 event sales are now open and until the 15th of this month you can get a full event pass at it's lowest price! Don't wait, your basically getting a full event pass for the cost of a one day at the door!